Chances are, you’ve never heard of the ‘Ndrangheta, but that might change soon. 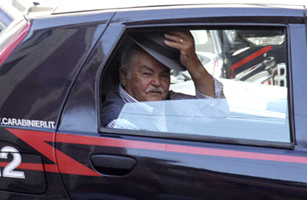 The ‘Ndrangheta (the name comes from the Greek for courage or loyalty) is the Mafia group based in Calabria, the southernmost province on the Italian peninsula, the toe and sole of the boot. It’s not a branch of the familiar Sicilian Mafia, which infiltrated the United States in the early years of the 20th century. It’s a separate and distinct criminal organization with its own long-standing traditions and rackets. And while the Sicilian Mafia has been on a steady decline worldwide for some time now, the ‘Ndrangheta is soaring with gangs operating in northern Italy, Germany, Switzerland, Australia, Canada, Mexico, and Colombia. They’re involved in many of the traditional organized crime enterprises, but their cash cow is drugs, and they’ve brought advanced global marketing techniques to the illegal drug trade, having developed the ability to spot markets quickly and satisfy demand as soon as it arises. The ‘Ndrangheta controls shipping and ports in many countries and has made key alliances with South American drug producers, mainly for cocaine. Recently six ‘Ndran gheta members were convicted in Milan for the acid-bath murder of Lea Garofalo, the gang leader’s companion and mother of his daughter. She had cooperated with the police in their investigation of the gang, and in retaliation gang members beat and tortured her, then dumped her in acid. Her daughter–the capo’s adult child–testified against the gang, without a doubt endangering her own life. Tony, sophisticated Milan usually isn’t associated with heavy mob activity, but among other things, the ‘Ndrangheta have their hooks deep into Milan’s fashion industry. A convicted ‘Ndrangheta boss, Paolo Martino, has alleged that many well-known designers were under his thumb, including the house of Versace. News reports about the ‘Ndrangheta have been scarce in America, though the few articles I’ve found online say that the group has surfaced in Florida and New York (of course). Right now they’re thriving in the shadows, out of the hot glare of the press and law enforcement. Some say the police would rather not shine a light on this beast. If the public understood how big it really is, they’d also understand how ill-equipped law enforcement is to fight it. It’s a good bet these mobsters are already entrenched on U.S. soil. One thing that’s always true about the Mafia–any Mafia–is that wherever there’s money to be made, that’s where they are. It might not be long before the ‘Ndrangheta’s ungainly name becomes a household word. I’m afraid I don’t know that book. I’ll keep an eye out for it.